The Cambusnethan Combination was formed in around 1863 and initially comprised the parishes of Cambusnethan and Dalziel. 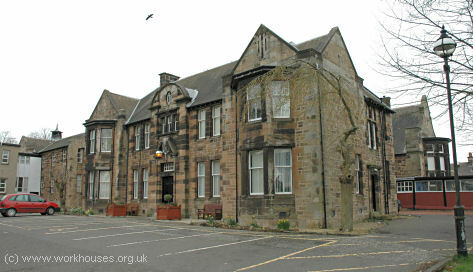 By 1865, Bothwell and Shots had joined, and the Combination opened a poorhouse in around 1867 at the south side of Park Street in Motherwell. Park Street was described by temperance followers as commencing with a public house, proceeding to a pawn shop and ending with a poorhouse. In 1870, the poorhouse Governor, Mr Frew, was found guilty of breaking a number of the rules and regulations for the management of poorhouses. In particular, he had improperly inflicted corporal punishment upon several inmates, used a cold bath as a punishment, watered down the inmates' soup, and interfered with the inmates' personal letters. He was on that occasion let off with a caution and allowed to remain in office. However, in 1872 he was forced to resign when an inquiry upheld further complaints that he regularly used "gross and profane language" and punished two boys named Francis and John Bone, then under medical treatment, by "unauthorised alteration of diet, and by confining them in the end of October in a room without a fire, and without shoes or stockings". The Park Street poorhouse buildings no longer exist. In around 1903, Dalziel left the Combination and erected its own new poorhouse. The Combination then changed its name to the Omoa Combination and erected a new poorhouse at a site on Bellside Road near Omoa (now Cleland) railway station. The poorhouse was designed by Mr A Cullen of Hamilton and used a pavilion plan layout. Its location and layout are shown on the 1913 map below. Omoa poorhouse from the north-west, c.1930. A receiving block was located near the entrance gate. Omoa poorhouse receiving block from the west, 2005. A central administrative block was connected by covered ways to pairs of two-storey pavilions, with males placed at one side and females at the other. On the ground floor of each pavilion were dayrooms and a ward for the aged and infirm, while the upper floor was divided into two 10-bed dormitories. Omoa poorhouse administrative block from the south-west, 2005. Omoa poorhouse pavilion from the south-west, 2005. 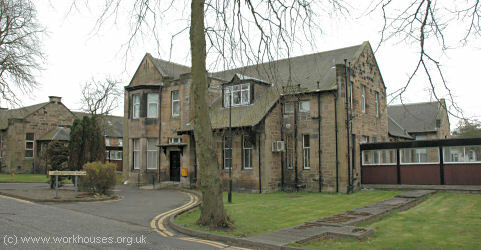 A separate hospital complex was located at the north-east of the main building. 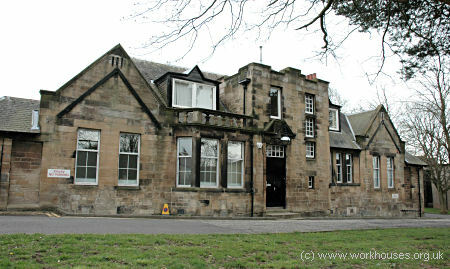 Its central block contained staff rooms, kitchen, maternity and labour wards. To each side were single-storey male and female ward pavilions, each divided into three wards. The male pavilion had a total of 24 beds, while the female had 18 beds. Omoa hospital staff block from the north-west, 2005. Omoa poorhouse hospital staff block plan. Omoa female hospital pavilion from the north-west, 2005. Other buildings on the site included a laundry and disinfector, and cottages for married couples. 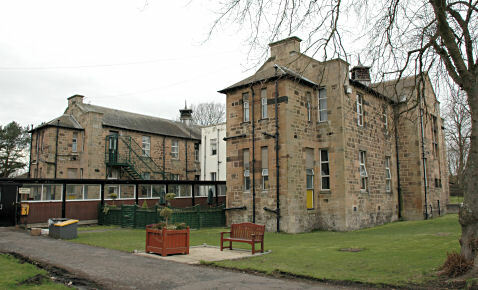 The poorhouse site is now occupied by Cleland Hospital which provides geriatric care. North Lanarkshire Archives, North Lanarkshire Heritage Centre, High Road, Motherwell ML1 3HU. Holdings: Bothwell Parish Council register of poorhouse inmates (1905-09); Omoa Combination Poorhouse minute books (1903-30).